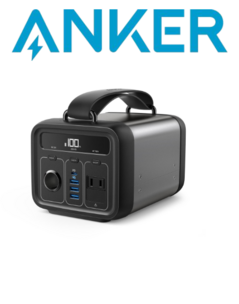 The Anker PowerHouse 200 is a… err... Powerhouse of a battery bank that is advertised as ‘the ultimate portable charger.’ It has a capacity of 200 Wh, which is over the limit allowed for air travel, but with a weight of 6.61 pounds (3 kg) and a square-ish design, you weren’t likely to be putting it in your luggage anyway. The PowerHouse 200 is estimated to launch in Summer 2018 — hopefully in time for your technology-connected camping trips (glamping?) — with an MSRP of US$300. There is a larger 434 Wh version already available. 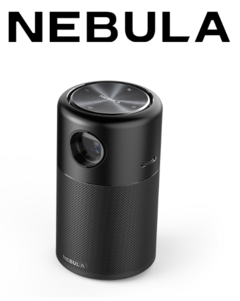 The Nebula Capsule is a DLP projector and portable 360-degree speaker in dimensions similar to a drink can for use on the go. The manufacturer claims the battery contains enough juice for 30 hours of music, or four hours of video playtime, which would cover a movie and a couple of TV shows with friends. Connectivity options include Bluetooth, HDMI, and screen mirroring, but Android 7.1 is also installed allowing local storage of apps and offline videos through Netflix, YouTube (with Youtube Red), Spotify, TED, etc. The Nebula Capsule will be available soon via Amazon (out of stock at the time of writing) with an MSRP of US$350. 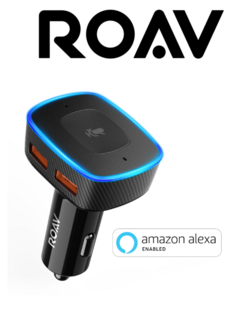 The Viva is a Bluetooth car kit that connects directly to the 12V port, whose headlining feature is integration with Amazon Alexa. 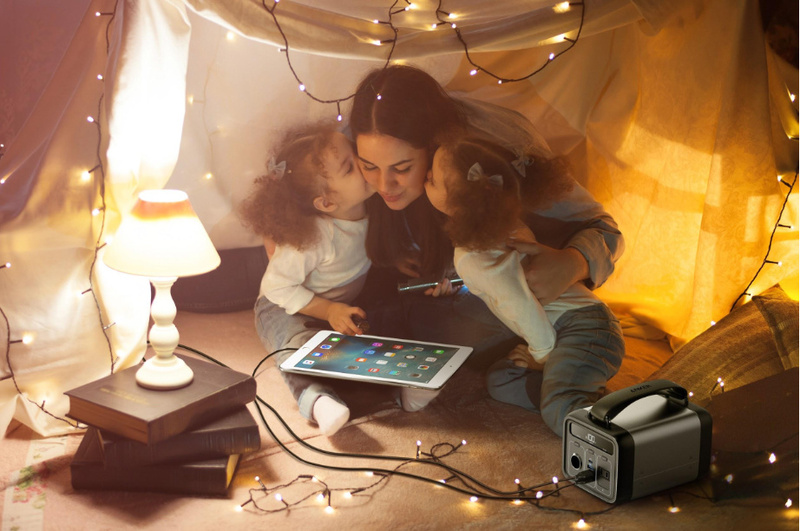 This combination allows you to interact with your smart home devices from the road (maybe on your way home), or access Alexa's massive skillset from your car such as ordering Pizza or turning on your house lights. As a car kit, it also allows for hands-free calling, Bluetooth music streaming, and provides two USB ports for charging. The ROAV Viva is expected to be available in the first quarter of 2018 with an MSRP of US$50.